Mr. Abdul Manaff Kemokai, Executive Director of Defence for Children International-Sierra Leone, was elected President of the International Executive Council of Defence for Children International (DCI) in March 2017. After his first degree, Bachelor of Science in Environment and development in 1991, he joined Saint Joseph Secondary School and served as a teacher until 2003. In 2003, he obtained a Master’s degree in Development Studies. He developed the spirit of working for children in 1998 as one of the founding members of Defence for Children International Sierra Leone National Section, whist he was still in college. In September 2003, Mr. Kemokai was recruited as National Coordinator for Defence for Children International. He extended the organisation’s operation from the capital city, Freetown, to the three provinces in Sierra Leone where the organisation was much more needed for its advocacy campaign against child abuse. He developed the National Standard for the Protection of Children in the Criminal Justice System in Sierra Leone in 2006 and was also part of the technical team that developed the National Juvenile Justice strategy in Sierra Leone in 2006. 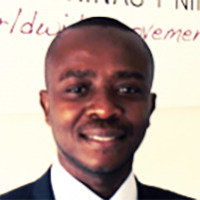 In 2016, Mr. Kemokai received the “Child 10” award, which was launched by the Sophie Stenbeck Family Foundation and Reach for Change in order to recognise, support and connect bold leaders of grassroots organizations that work with innovative solutions to address urgent and pressing issues for children. Mr. Kemokai was honoured for the tremendous work conducted by DCI-Sierra Leone through its Socio-Legal Defence Centres. These Centres provide direct socio-legal assistance to children and ensure that they are given adequate protection and access to justice.